Beep Beep, It’s Gurley Leep! The Gurley Leep Automotive Family has been growing since it was first established with business partners Mike Leep, Sr. & Van Gurley opening their first dealership in 1973: a Dodge franchise in Highland, Indiana. Mike and Van went on to purchase a Buick franchise in South Bend, Indiana in 1977; since that time, the Gurley Leep Automotive Group has grown from one dealership to 36 automotive retail franchises at 22 dealership locations. At Gurley Leep, employees are taught the value of great customer service. Gurley Leep is well known in Michiana for being one of the area’s top car dealerships specializing in customer service from vehicle sales to vehicle service. 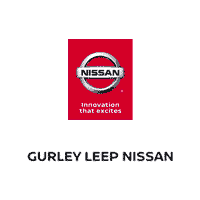 With over forty years in the automotive industry and over 1,200 employees, Gurley Leep Automotive is proud to be a leader here in Mishawaka, South Bend, Elkhart, and the surrounding areas here in Michiana.